As they say, home is where the heart is.. Where can your heart be found? 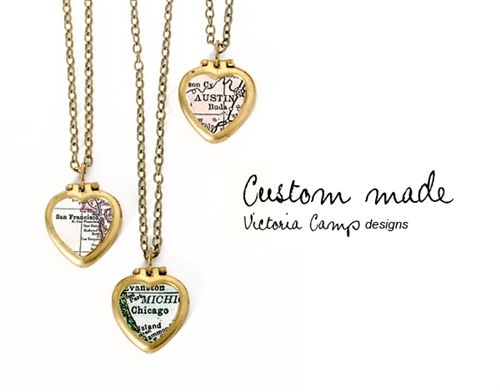 Wear your map jewelry to represent your current city, hometown, favorite place, wedding location or other meaningful place! These designs also make great gifts for bridesmaids, as each necklace will be unique and special to the recipient. Your map necklace will be made to order with a print from an antique atlas - you choose the city! 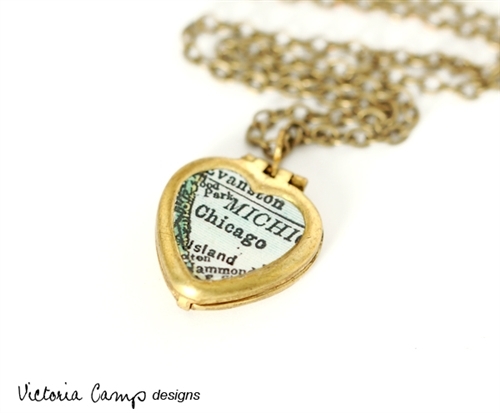 This map necklace features a tiny brass vintage heart locket, of which I will add a map cutout with the city of your choice to the front. (Printed from one of my nearly-100-year-old antique atlases!) Please keep in mind that shorter city/town names are best for this size locket, since the locket is so tiny that the font size will be small too. The map sealed with glossy jeweler's resin to make it water resistant, but it is not considered waterproof. Please take care to keep your locket dry. 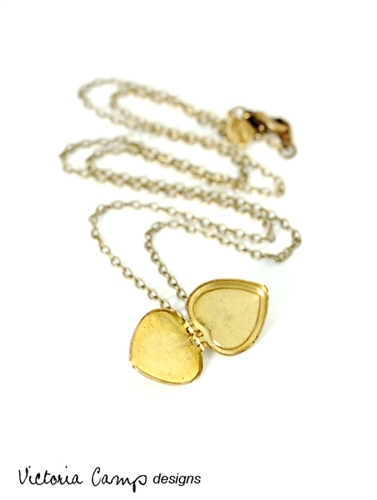 The locket measures 5/8-inches/1.5cm tall and is made of brass. Please take care when opening/closing the locket. 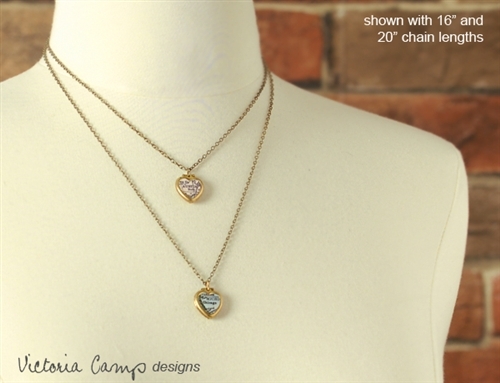 Your locket will hang from an antiqued brass chain that finishes with a lobster clasp closure. You may choose a chain length up to 20-inches/51cm. Your necklace will be sent in a gift box, ready for gift giving!